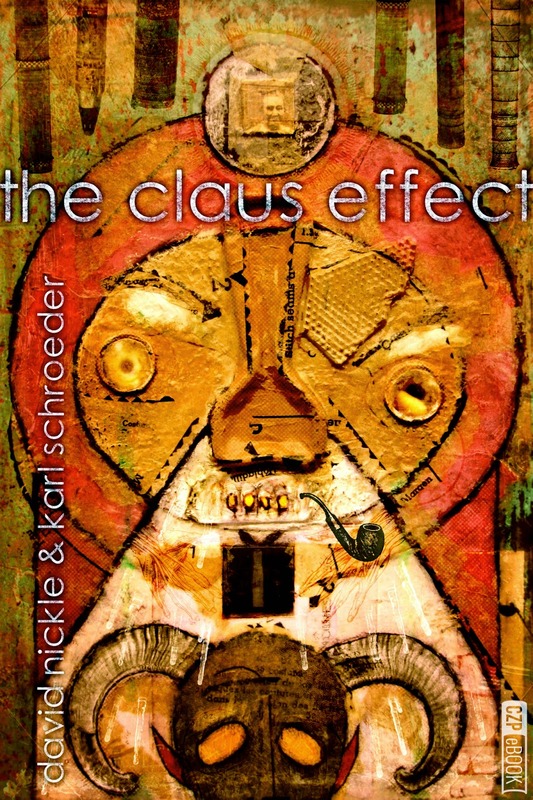 Big news: this week, my first novel (co-written with Karl Schroeder), The Claus Effect is available for the first time in e-book form. 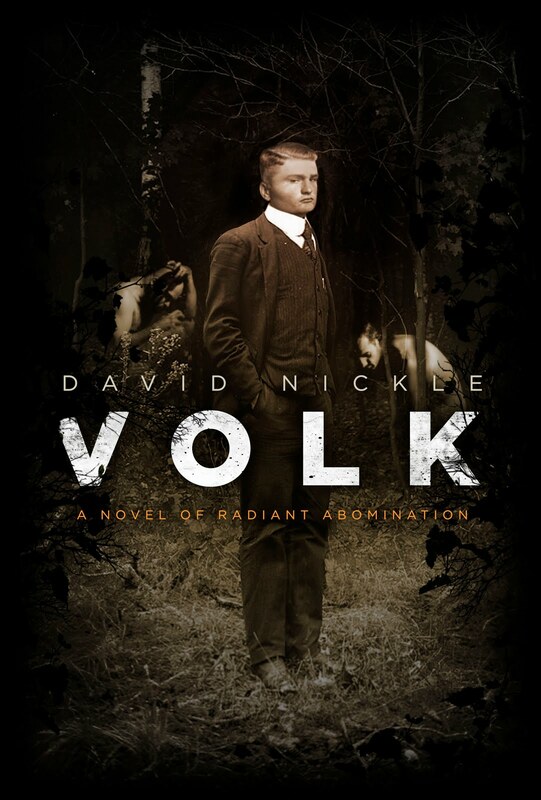 It's a new version from ChiZine Publications, with a fantastic new cover (see below), and a never-before-seen epilogue. You can purchase and download it here. The Claus Effect is an old book—to the extent, I guess, that Karl and I are old writers. The novel, about a terrible, awful Santa Claus, the end of the Cold War and the dawn of Wal-Mart, was published in the late-1990s, written in the mid-1990s, and based on a short story, “The Toy Mill,” that was published at the very beginning of our careers in the early '90s. At the time, we thought we were being very clever and arch, satirizing the old Rankin-Bass Christmas specials: Rudolph The Red Nosed Reindeer, Frosty The Snow-Man, and of course the definitive Kris Kringle bio-pic Santa Claus is Comin' To Town. As far as we were concerned, we were answering those shows with some necessary darkness: Santa Claus is villainous; Krampus is a good-guy; Christmas is a Wal-Mart. What did we know from dark? "His hair was whiter than his flesh. Thick whorls of ice embedded his beard in icicles like a January cataract. More separated the thick hairs of his eyebrows into individual daggers, pushed back by the yuletide winds of the stratosphere so that they swept down to meet at the bridge of his narrow, blue-tinged nose. Wisps of pale hair scattered from beneath his red cap, over his small pink ears. His eyes were tiny too, pink-rimmed and black at their iris; and looking, searching the eaves troughs, the darkened windows, the empty playground three streets down, questing hungrily and never blinking once in an endless quest for girls and boys." Hard to say which one of us wrote that bit—it was a long time ago, and if there was a proper, orderly way to collaborate on Christmas-themed fantasy novels, nobody told us what it was. Since then, we've both gone on to write very different stuff: Karl, gravitating toward diamond-hard science fiction, and me, falling toward squishy-soft horror. The Claus Effect is neither of those things, and looking over it now as its about to be released in e-book form, it's not even what we thought it was at the time: that oh-so-clever skewering and darkening of Rankin-Bass children's animations. It may be a little darker, a lot more violent, and quite a bit saucier...but whether we knew it at the time or not, The Claus Effect is a love letter to those stories that generations of us grew up on. The book has, of course, been around for a long time, and is still available in hard copy from Edge Science Fiction and Fantasy (the inheritor of Tesseract Books' list), right here. A few years back, I put together some promotional material (including sample chapters) to pitch the dead-tree version, right here. Enjoy! It is if not a perfect, then at least a fairly obvious Christmas present for bloody-minded boys and girls everywhere.